2. 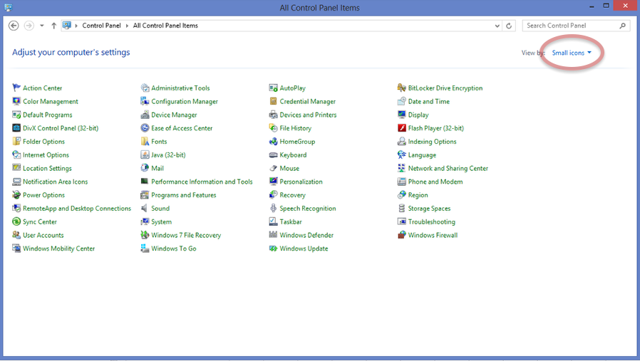 Set the view to Large icons or Small icons. 5. 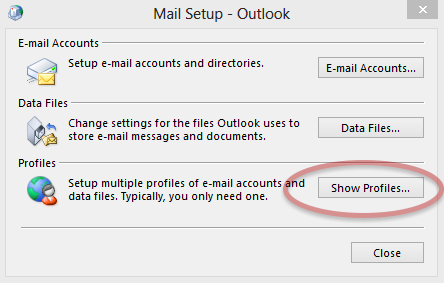 In the Mail dialog box, under the General tab, click Add to create a new Outlook profile. 6. In the New Profile dialog box, enter a profile name (e.g., Work Email) and click OK.
7. Click the option button for Manual setup or additional server types and click Next. 8. 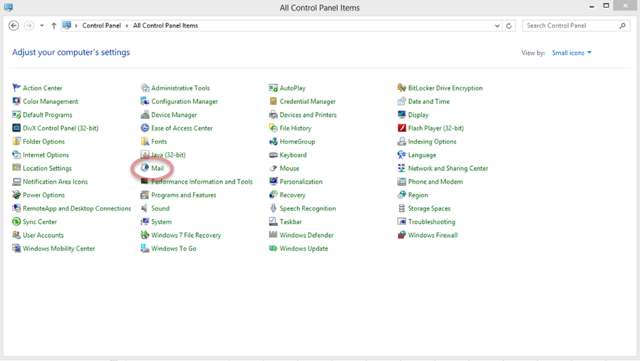 Click the Microsoft Exchange Server or compatible service option button and click Next. a. 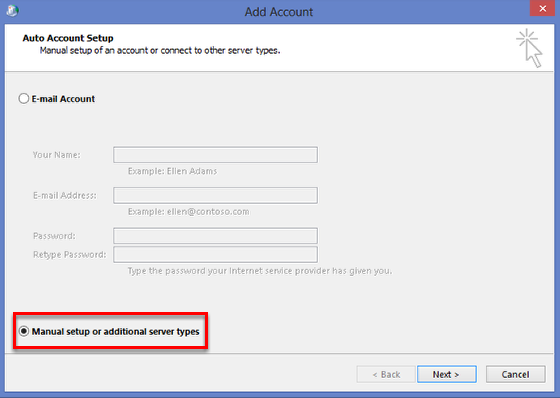 Set the server name to: outlook.exg6.exghost.com and leave the Use Cached Exchange Mode checkbox selected. b. Enter your full email address. c. Choose how much email to copy locally on your computer. a. Click the Connection tab. b. 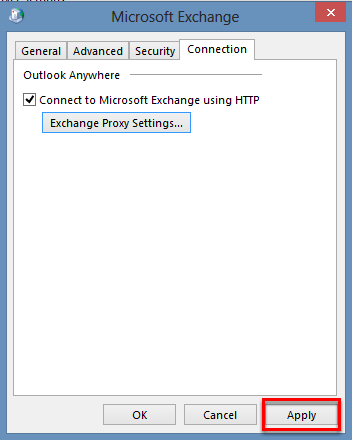 Select the Connect to Microsoft Exchange using HTTP checkbox. 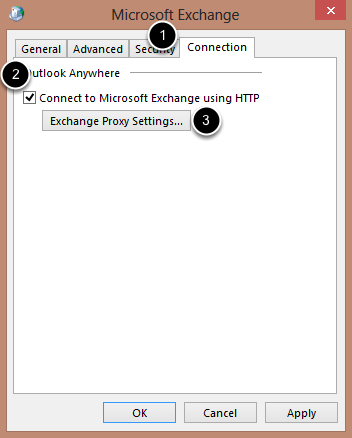 c. Click Exchange Proxy Settings... .
a. Enter the proxy address: exg6.exghost.com. b. 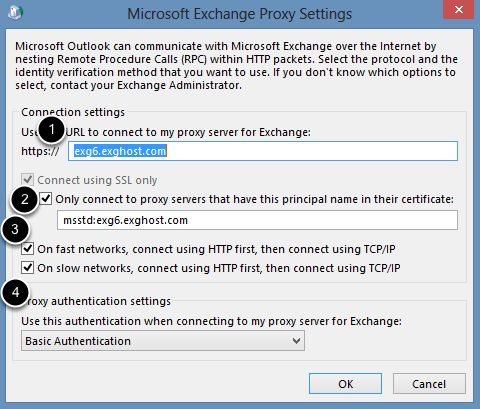 Select the Only connect to proxy servers that have this principal name in their certificate checkbox and enter the following: msstd:exg6.exghost.com. c. Select both On Fast Networks.... and On slow networks... checkboxes. 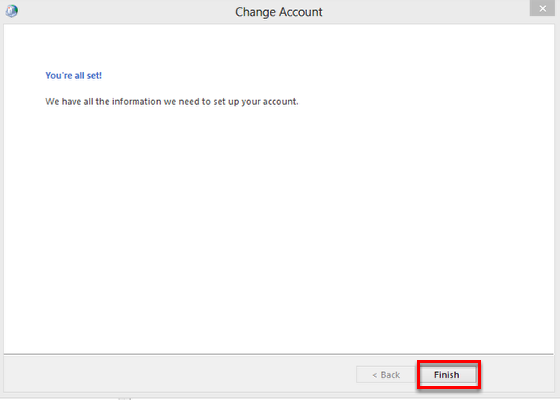 d. Change the Proxy Authentication Settings to Basic Authentication. 12. Once the 4 steps have been completed, click OK.
14. Click Apply to make the changes you just made. Then select OK.
15. Test your newly applied settings. 16. 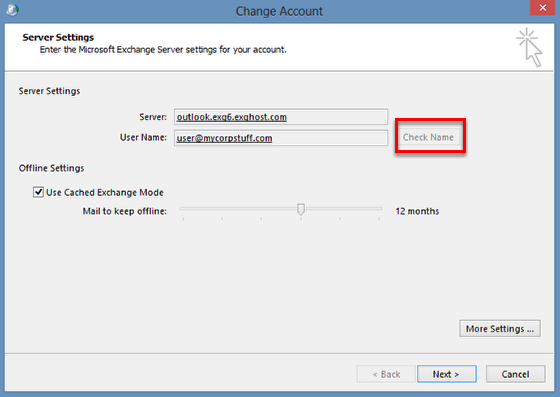 Click the Check Name box to the right of your username, this will check your settings against the exchange server. 17. Enter password when prompted. 18. If the settings are correct it will underline your username and server name. If you get an error message go back to your settings and ensure there are no errors. Also ensure your password is correct. You can check by logging into webmail at exg6.exghost.com in your internet browser. 19. Click Next if settings are correct. 20. 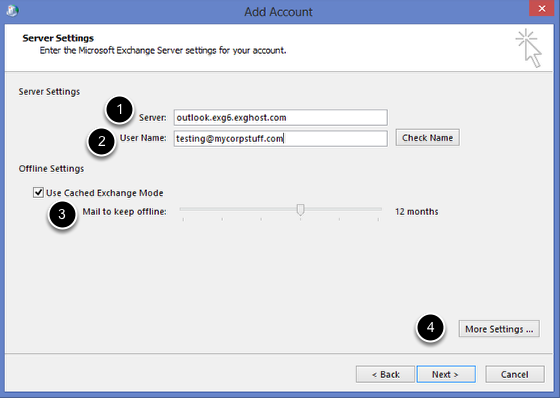 You've now successfully setup Outlook 2013 with Hosted Exchange 2010 manually. Click Finish. 22. 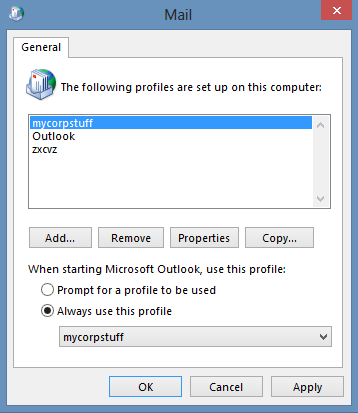 If you would like Outlook to open the new profile by default whenever Outlook 2013 is opened, check the button for Always use this profile and select your new profile from the list and click OK.
23. 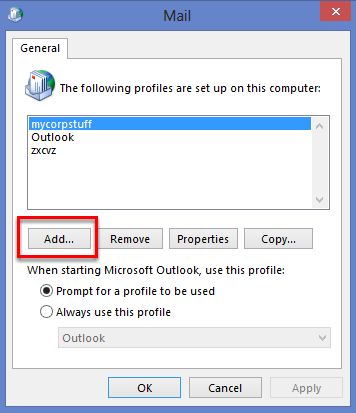 If you would like to toggle between the profiles and be prompted every time Outlook 2013 is opened for a profile selection, click Prompt for a profile to be used and Outlook 2013 will ask which profile you would like to use when opened. 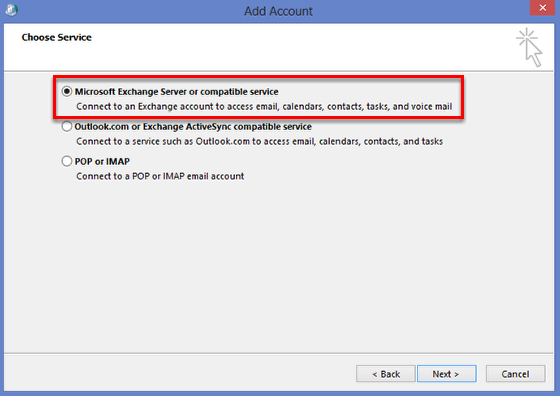 Congratulations, you are now successfully setup to use AppRiver Hosted Exchange 2010 with Outlook 2013.